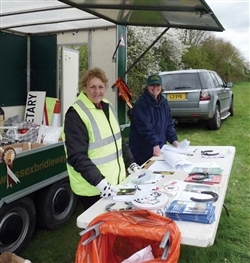 Essex Bridleways Association can only succeed if ordinary riders are willing to give up their time and energy to help. So give it a thought, even if it's only once a year. It will make a difference! "It's not just about the rides. 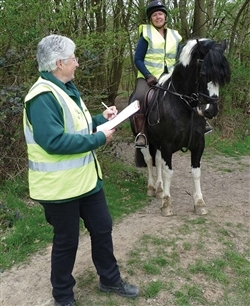 Lots of research and investigations are carried out to reclaim and create new bridleways and to clear routes for riders to use, so that we can explore areas of Essex legally and safely, and without which many of us would have to rely on roadwork." 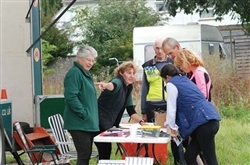 "Volunteering is fun and you meet like-minded people who enjoy hacking out on safe routes"
"It is vitally important that Rights of Way remain open throughout Essex, and that lost routes are reclaimed to ensure off-road access to our beautiful Essex countryside." 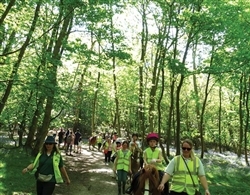 "I enjoy volunteering with EBA as its a chance to meet like-minded people who enjoy exploring the countryside on horseback. Through becoming a Trustee I have been able to use my existing skills but also learn a few new ones! " "Although I no longer ride regularly I still enjoy helping with events. As I have organised or been involved with various events over the years I know how difficult it is to get enough help so I am always pleased to assist where possible especially when someone else has had the headache of organising it "